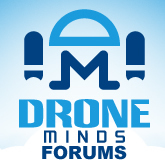 Discussion in 'General Drone Forums' started by BSHARK, Aug 30, 2018. Narwhal 2 hydrogen fuel cell drone, the long flight time drone, with all features listed below still comes very competitive in pricing under 8 thousand dollars (USD 8,000), the price covers: The Narwhal 2, Hydrogen Fuel Cell, Gas Tank & Valve, AIO (All-in-one) Control Station and Video Transmission. Unmanned Drones require a great deal of energy to stay airborne. Battery technology has come a very long way in a couple of decades. However, the generated heat when energy is transferred not only wastes energy but also damage the battery, which effects the batteries’ working efficiency and lifespan. Sooner or later, a new energy will come to overcome batteries’ barriers used on drones. We have developed a complete hydrogen-powered drone system that can greatly extend drone’s flight time into over 2 hours. The fuel cell Narwhal 2 adopted is metal cooled bipolar plate stack with mass production and less stack thickness. Narwhal 2 hydrogen fuel cell drone offers almost unlimited applications options with the integration of the 4G network. Optimum data transmission is thus achieved not only in rural areas but especially in inner-city areas with its excellent 4G NETWORK COVERAGE, despite the high density of buildings. Narwhal 2 can be controlled beyond national borders. B1- flight controller is the compatibility to all model of aircraft, it is powered by our new PX4 flight management unit, which runs on the APM processor. Information is sent to the main processing chip, which in turns sends commands to the motors through the newly developed 4-in-1 ESC, Extended Kalman Filter (EKF), the most widely used estimation algorithm for nonlinear systems and PID (proportional-integral-derivative) control algorithm with the most stable and adjustable algorithm in the drone industry through this entire loop, the flight controller manages to keep Narwhal 2 a high level of stability. The Narwhal 2 is built on Hydro–line design. An internal combustion Hydrogen Fuel Cell serves as the power system, consumes hydrogen and powers the brushless motors. By using its hardware expansion bays in connection with a plug and play connector, the Narwhal 2 can be configured to carry any set of payloads up to 1.5Kg that you want to put into the sky. The Narwhal 2 hydrogen drone is simple and easy to set up, ready to fly in a matter of minutes. Its airframe has been optimized for easier transportation with a quick-release landing gear design with detachable folder frame arms. Narwhal 2 will be released and sold online by September 22nd.